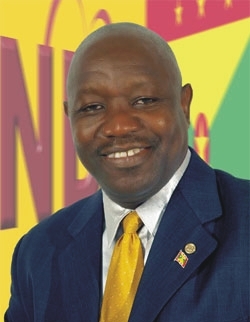 The officers and members of Grenada’s National Democratic Congress (NDC) – New York Chapter, are saddened to learn of the passing of Mr Osborne “OJ” James, a stalwart who contested the 2008 Grenada General Election as the NDC Candidate for the Constituency of St Mark. We extend our deepest condolences to his family, as well as salute them for having allowed him to serve the people of Grenada, Carriacou & Petite Martinique as a community organizer and leader in the NDC. James was, foremost, a principled, hardworking, Christian family man, who leaves behind his wife Merle, and his 4 gifted children. Besides being a political organizer, James was also a skilled self-employed contractor, involved in the construction industry in Grenada. May his legacy as a servant-leader live on forever; and may his soul rest in peace.